Moving to Mexico - Compare International Movers & Save up to 70% ! Looking for a moving company which will organize your removal to Mexico does not need to be a headache. Intlmovers offers you a quick and easy service, and it is absolutely free. You can obtain your personal quote from an international moving company in your country in just a few moments. A relocation to Mexico is exhausting enough, so why accept the unnecessary stress of trying to find the perfect company? With Intlmovers it will be much easier. With just one one click, receive up to 6 quotes and compare them comfortably at home. For further details you can simply contact your preferred moving company. Complete the easy request form and receive quotes directly for international moves to Mexico. The Mexican visas are generally divided into two categories – Non Immigrant Permits and Immigrant Permits. Non Immigrant Permits are for those people who want to visit Mexico for a specific purpose and then leave again. As opposed to this the Immigrant Permits allow people to stay in Meixco for a longer period of time. If you are planning to obtain a “immigrant” status or a citizenship for Mexico you need to hold your FM2 immigrant visa for a qualifying period. This period can be depending to your circumstances. Once you are in possession of a FM2 visa you can make an apply for the full Mexican residential status in the following qualifying period. As soon as the Mexican government accept your full residency status, you can make an apply for the Mexican citizenship. Once your immigration status has been approved, you will receive a card that looks like a driver’s license, that allows you to pass all Mexican borders as a Mexican citizen. The living costs in Mexico will depend significantly to your lifestyle. 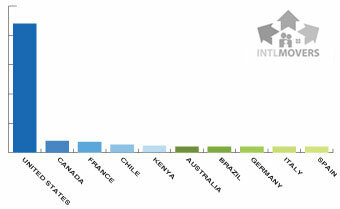 Grocery goods like food are notably cheaper in Mexico than in the US, Canada and Europe. When it comes to luxury goods such as electricity, cars, air conditioning and telephones, these costs can accelerate significantly. Piped water is cheap, but you have to take care because sometimes it isn’t drinkable. Therefore many Mexican citizens purchase bottled water, commonly in 20 liter bottles. Compared to the USA, Canada and Europe the water is expensive. Rental costs may also be higher than in equivalent US or European cities. This mostly occurs when a place is popular expat and tourist place or close to the US border. As a general rule, the rental costs close to the US border are quite high. In non-popular areas you will also find a lot of quality accommodations for less money. Irrelevant of where you are moving or shipping from or to in Mexico, our moving companies will support you in organizing your move. 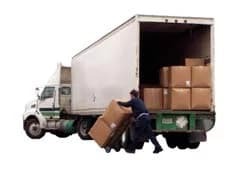 The moving companies on Intlmovers.com are specialists in international moves. Via Intlmovers, you will find a trusted and responsible moving company which will relocate your furniture and household goods in the best possible way. Via Intlmovers, you can easily request personal and business quotes from several moving and shipping companies. All you have to do is one click in order to contact up to 6 moving companies. They will send you their offer directly to your nominated email address (or call you). By comparing all of them, you will find the best value. For more information about the details and the further course of action for your move, you can contact your preferred moving company. For international moves from Mexico you can also use our local international movers site (Spanish).